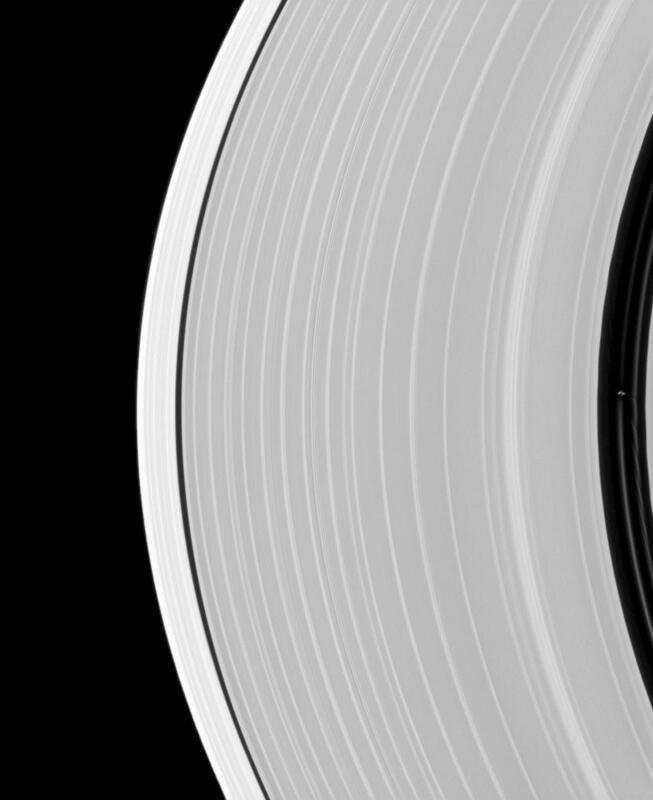 Saturn's small, ring-embedded moon Pan, on the extreme right of this Cassini spacecraft image, can be seen interacting with the ringlets that share the Encke Gap of the A ring with this moon. Pan is 28 kilometers, or 17 miles, across. 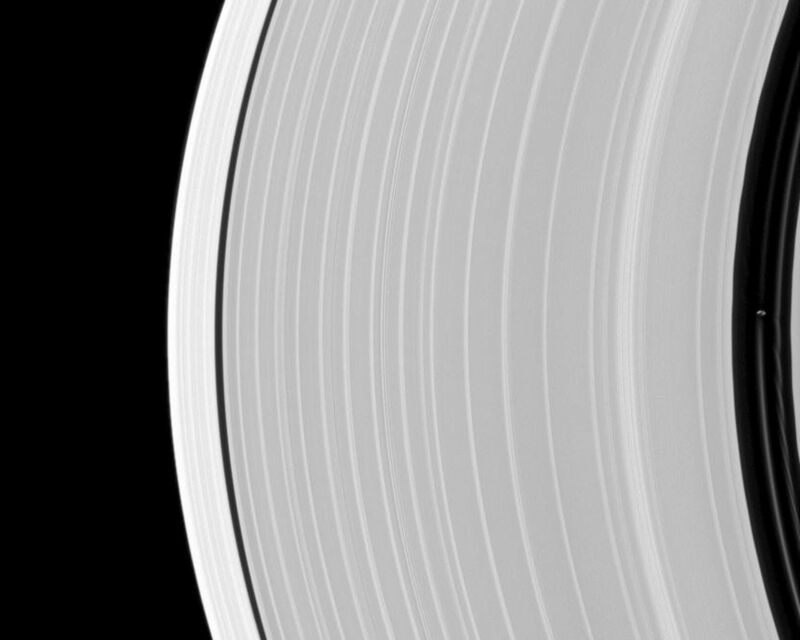 This view looks toward the northern, sunlit side of the rings from about 11 degrees above the ringplane. 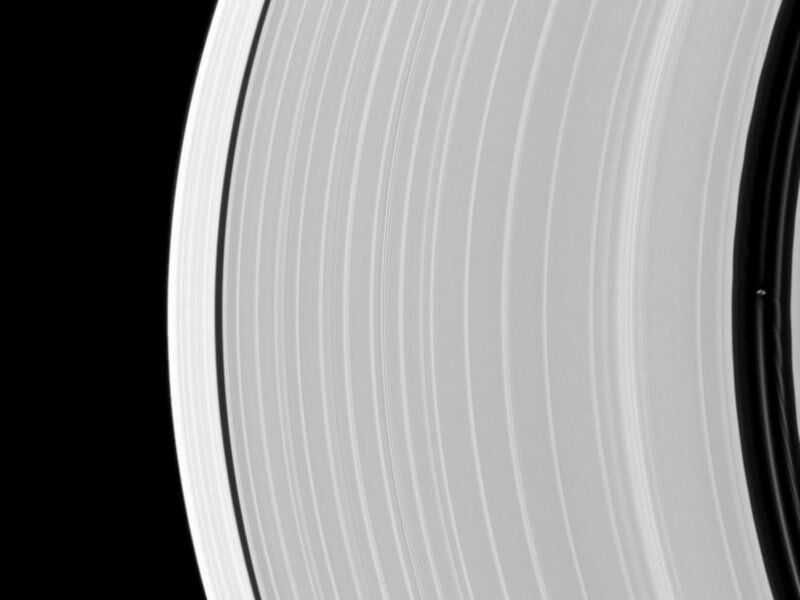 The image was taken in visible light with the Cassini spacecraft narrow-angle camera on June 2, 2010. 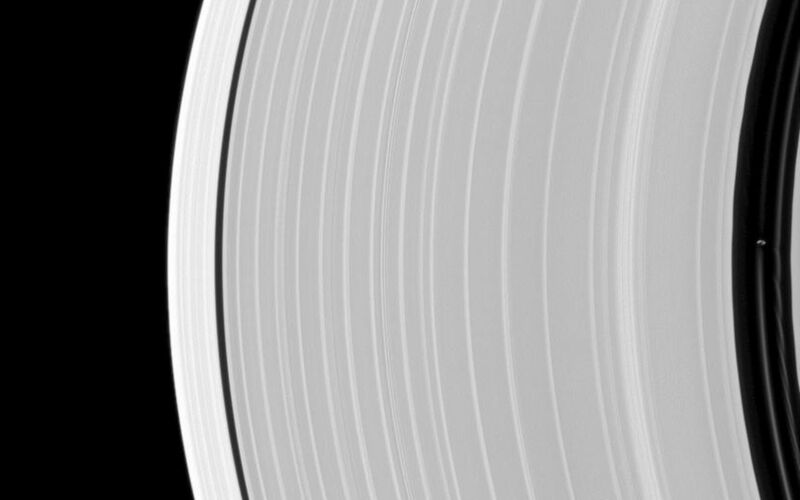 The view was acquired at a distance of approximately 875,000 kilometers (544,000 miles) from Saturn and at a sun-Saturn-spacecraft, or phase, angle of 130 degrees. Image scale is 5 kilometers (3 miles) per pixel.